Everything that’s needed for a relaxing, simple vacation is located at the Casuarinas at Old Trees. There is full air-conditioning and ceiling fans to keep the home cool, as well as an outside barbeque with which to help you enjoy the outdoor weather. The Casuarinas sits on the beachfront, and there is a pool and hot tub at the villa, along with golf and shops nearby. At the villa, you can find all kinds of entertainment, including board games and a media library. The views are very nice, and this villa works well for families and couples alike. The Casuarinas at Old Trees is situated on the West Coast of Barbados. 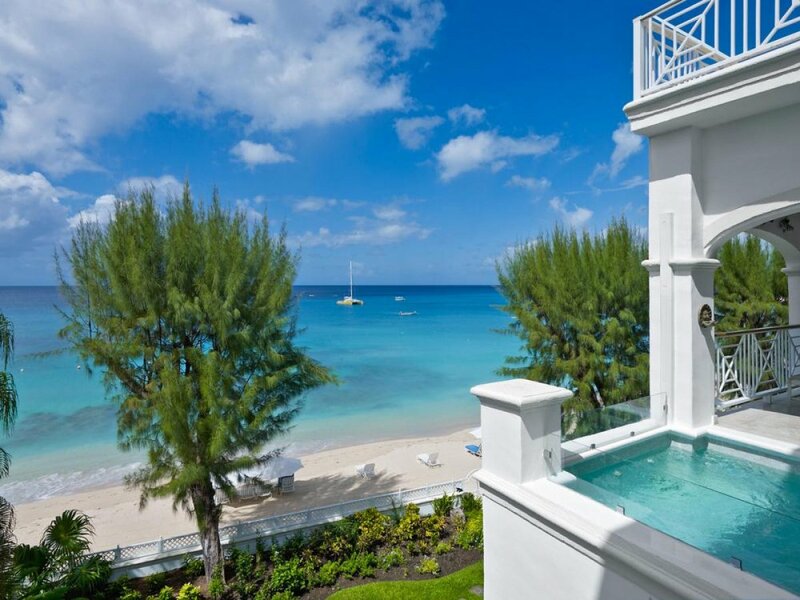 This beachfront unit is steps away from the white sands and blue waters of the Caribbean Sea. The open floor plan includes a fully-equipped kitchen, living and dining areas, as well as a master suite and two additional en-suite bedrooms. The large covered terrace features a Jacuzzi and plunge pool. Enjoy al fresco dining or relax with sundowner in hand as you take in the views of an Caribbean sunset. Guests can also access the property’s free-form swimming pool and tropical gardens. Dining and shopping are just a few minutes away. Christmas/New Year period, special rates apply. Available on request.